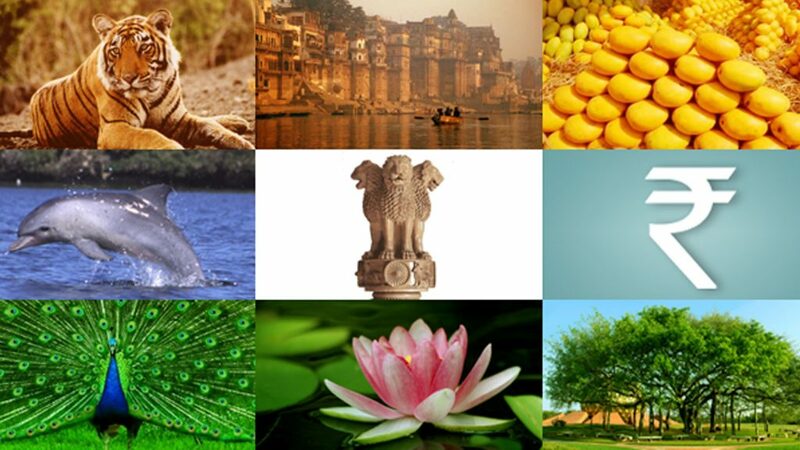 The National symbols of India contains brief information on various national symbols of India. It also traces the history and evolution of various Indian National symbols. We have covered Indian National anthem, national bird, national flag, national flower, national, tree, national calendar, national song, national emblem, national fruit and the national game of India. 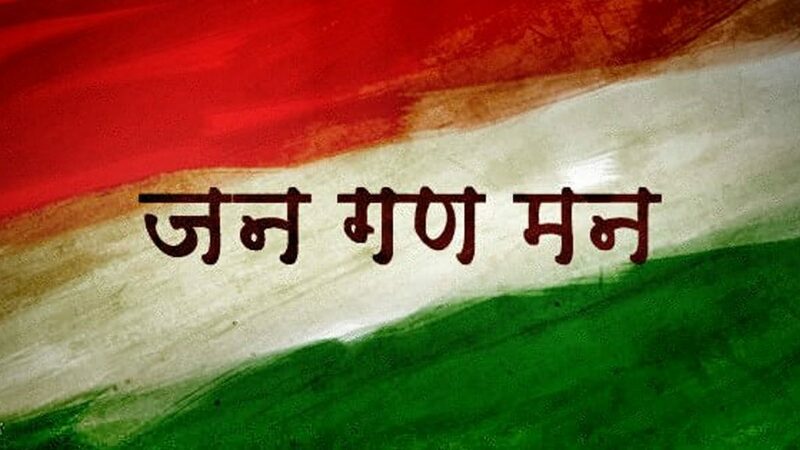 The national anthem of India, Jana-gana-mana, was composed by the great poet Rabindranath Tagore and was adopted by the Constituent Assembly of India on January 24th 1950. Jana-gana-mana was first sung on 27th December, 1911 at the Calcutta Session of the Indian National Congress. The songs, Jana-gana-mana, consists of five stanzas. The first stanza constitutes the full version of the National Anthem. Tiger (Panthera Tigris, Linnaeus) is the national animal of India. Tiger is also called the lord of Jungles. As the national animal of India, tiger symbolizes India’s wildlife wealth. The rare combination of grace, strength, agility and enormous power has earned the tiger great respect and high esteem. The National Emblem of India has been taken from the Sarnath Lion capital erected by Ashoka. The national emblem of India was adapted by the Government of India on 26th January1950. In the National emblem only three lions are visible and the fourth one is hidden from the view. Lotus is the National flower of India. The Lotus symbolizes spirituality, fruitfulness, wealth, knowledge and illumination. The most important thing about lotus is that even after growing in murky water it is untouched by its impurity. On the other hand the lotus symbolizes purity of heart and mind. Mango (Mangifera Indica) is the National fruit of India. Mango is one of the most widely grown fruits of the tropical countries. In India, mango is cultivated almost in all parts, with the exception of hilly areas. Mango is a rich source of Vitamins A, C and D. In India, we have hundreds of varieties of mangoes. They are of different sizes, shapes and colors. Hockey is the National Game of India. Hockey has been played in India for time immemorial. There was a golden period of Indian hockey when hockey stalwarts of India ruled the game. On the international scenario there were no competitors to match the magical hands of Indian hockey players.